I went to Las Vegas for a week around CES and fell in love. 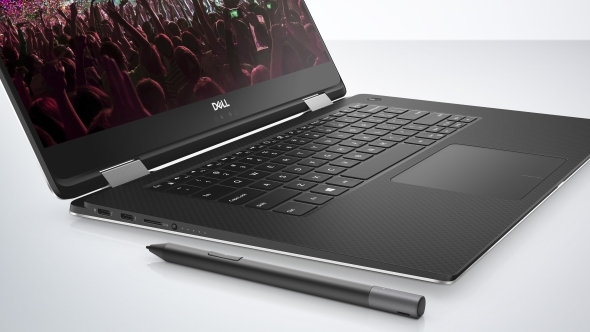 Dell’s XPS 15 2-in-1 is just a little bit gorgeous, flirtatiously playing down its gaming chops while still being capable of delivering performance on a level with machines using discrete GPUs. Its touchscreen and the trackpad’s not bad, but you’d probably still want one of the best gaming mice to go with it. Yes, I fell head over heels for a 2-in-1… not for some overly plasticised, middle-aged hostess in one of the Vegas casinos, not for a stripper with a heart of gold, and not one with a brain of silicon either. Though if times ever get tough in the automotive space I could see Jen-Hsun and co. going down a darker, Tyrell Corporation-style route for machine learning. If that’s going to happen anywhere, it’s going to happen in Vegas. 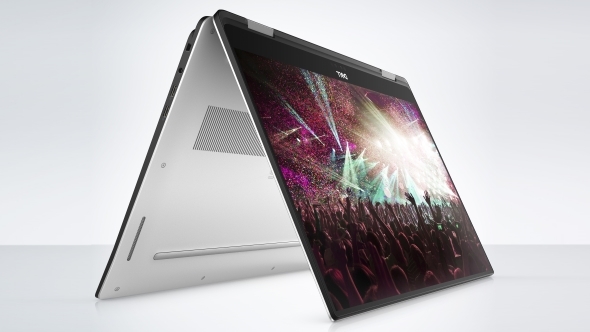 But no, after years of scoffing at 2-in-1 PCs Dell’s new foldable XPS 15 has rather caught hold of my heart. The gorgeous XPS 13, with its 11-inch chassis and 13-inch panel, made a play for my affections, but the Intel Kaby Lake G series chip at the core of the 2-in-1, with its Radeon Vega M graphics, is what has really turned my head. Now, I’m not pretending the skinny new machine is going to be able to deliver gaming performance to make a serious ROG laptop blush, but the Core i7 8705G processor has a level of integrated graphics we’ve never before seen in a laptop this svelte. The i7 8705G uses the Vega M GL graphics, which means the full Kaby Lake quad-core CPU is joined by a Vega GPU core sporting 20 CUs and therefore 1,280 GCN cores. That’s more than a full discrete RX 560 desktop GPU, but in a 16mm thick laptop. The Gore Thermal Insulation material is the same stuff used in the tiny XPS 13 – and used to insulate the Mars Rover – and is used to help ensure the chip at its heart shouldn’t suffer from the sort of thermal throttling normally associated with such skinny machines. It will be interesting to see whether that holds true for the 65W processor in the new XPS 15 too, because that’s sure to be getting rather toasty when put under gaming loads. The strokable, foldable, XPS 15 has a 4K touchscreen, which is practically bezel-less, and a solid maglev keyboard. Yeah, keys where the resistance comes from magnets and not springs or unpleasant rubber domes. It’s a novel, quiet design, and feels reassuringly robust in our little time playing with it. The touchpad is a pretty standard all-in-one affair, so the buttons are integrated into the touch surface itself. That’s never my first choice, but you do also get a magnetically attached stylus pen for additional inputs because of its pseudo tablet leanings. In terms of its gaming performance we only had the opportunity to run a little Rise of the Tomb Raider benchmark on it, and with pre-release Radeon drivers we only managed 20fps out of it at 1080p and ‘High’ settings. That’s lower than we’d really expect from a machine with better than RX 560 level graphics, so maybe there are some speed restrictions being placed upon the GPU despite the Gore design. 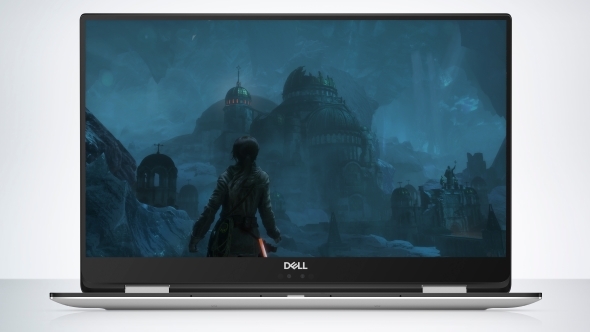 That was down to some very brief, showfloor testing, so it’s not 100% representative of final performance, but even so you’d still be looking at some very playable 720p gaming prowess from this super-skinny Dell XPS machine. 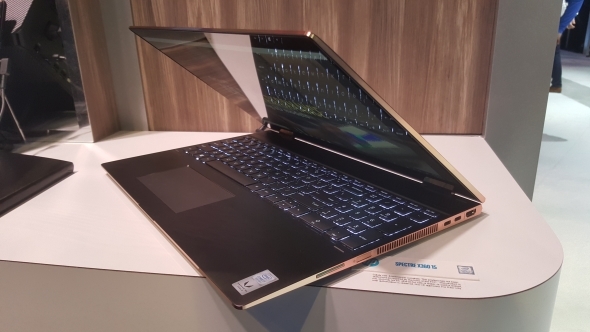 It will be interesting to see how it matches up against HP’s $1,400 Spectre X360 15, as that uses the same Vega M graphics, but in a thicker chassis with what looks like more extreme cooling inside. But what about the top-end of Intel’s Kaby Lake G graphics? I asked if Dell were considering dropping the 100W Kaby Lake G part, currently used in the Hades Canyon NUC, into any of their Dell Gaming or Alienware machines in the future. “Potentially,” says Sutphen. “I would say the first focus we had when we looked at what Intel was offering with that chip, the idea of saving so much space and the things we were doing on the thermal side of it, leads us to a 15-inch 2-in-1 that’s as thin as possible. We can’t wait to give it a proper run through in our testing suite to see just what sort of gaming performance capabilities we can squeeze out of it when we get it on our desks in a few months. 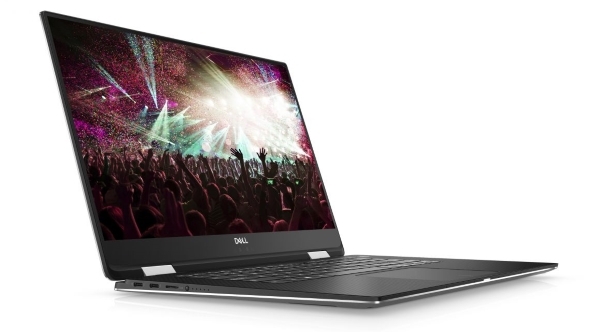 The Dell XPS 15 2-in-1 is coming in March/April this year, with prices starting at $1,299 and I wants it.